Attention Treasure Valley residents. Are you considering getting your fence stained? Save $200 now with Boise Wood Staining! Call us today at for your free wood fence stain estimate. Let our experienced staff do the homework for you in regards to your sub divisions covenants. (Note: Many sub-divisions throughout the Treasure Valley have strict covenants and rules on which stain can be used). Once you sign up for your free fence staining estimate a member of our staff will come by your property to give you a job bid. We do not offer estimates, rather we give you a bid. This means that even if our numbers are off we stick to your work order bid. An estimate means the price could change by the end of the job. Depending on the age of your fence will determine our bid. Older fences that will require additional prep time with cost a little more than new fences. The reason is, the absorption rate of an older fence will be greater than that of a new fence. We will stick to our bids. The bid will be for the cost of services. Then we will take $200 off your bill for this sale. Prep: The key to a great staining job is the preparation. We will professionally and thoroughly prep your fence. This is done by treating the fence with a wood emulsifier and then pressure washing it. In most cases the fence will look as new when we are finished prepping. In some cases where the fence has severe staining due to age and lack of care, our prep will NOT REMOVE all discoloration. Our commitment is to perform a thorough cleaning of the fence prior to stain. Please keep in mind that over-prepping a fence can lead to massive splintering. Each customer is to understand and agree to the fact the fence will have very minor surface splintering as this is common when prepping a cedar fence. In order for us to provide an excellent service, prep is crucial to opening the fences pours to accept the stain. This Sale Is Not Valid With Any Other Sale Or Promotion. $200 off for 1500 Sq. feet or more of fence. 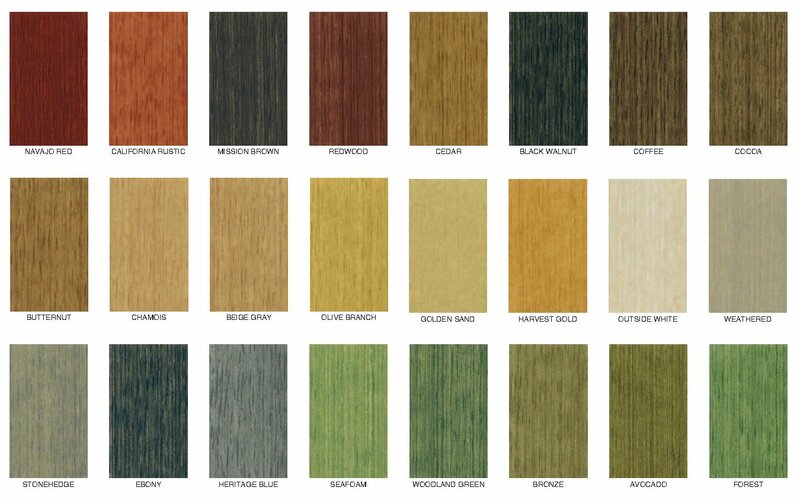 Product: We will use only premium Columbia Woodtech , Sherwin Williams, or Sikkens stains. If customer wants to use a different stain product then we will need to consult about that selection prior to work being performed. We do not recommend low quality stains that are often found at places like Home Depot or Lowe's. All material pricing will be outlined to the customer on a job bid prior to work being performed. Materials we use during a staining job which are included in the bid are the following: stain, disposable gloves, gas for pressure washer (pressure washer used for fence prep), stain brushes, paint thinner (used for cleaning our staining guns), masking tape, plastic and paper wrap for masking the home and other items from over spray. Guarantee: We will guarantee the fence stain for 3 years from date of application. This is the maximum manufacturer warranty. We do a very high quality prep on the fence and in most cases the staining job lasts much longer than 3 years. We have done jobs from 5 years ago that still look great. ATTENTION: Make sure to adjust your sprinklers so that they do not water your fence. This greatly decreases the longevity of stain. The reason for this is, the water on the fence magnifies the sun's UV rays which break down the fence's stain protection. This is why it is very common to see fences stained in a pattern that reflects where it is being hit by sprinklers. Rates: Fences typically range in price from $800-$2000. Keep in mind that materials alone can cost 35%-50% of the total stain job. Since stains are made out of petroleum and petroleum is expensive, please keep in mind that all materials are included in all job bids so the price you are bid is the exact price you pay. Quality: We will adhere to strict quality guidelines. This means we mask off the area next to your house to ensure no over spray. We will also use care and caution around all plants and trees that are next to the fence. If you have plants and tree's right against the fence, we will hand apply stain in these areas to ensure the best possible outcome without damaging your foliage. In the very rare event a plant is damaged along the area of application, Boise Wood Staining is not responsible for this damage and the homeowner will be notified in advance if there is a potential of this due to obstruction. Call us today for your free fence stain bid anywhere in the Treasure Valley!